Local parents, who were supported by The Sick Children’s Trust for six weeks after the birth of their seriously ill baby boy, have spoken out in support of the charity to raise money and awareness for a cause close to their hearts. 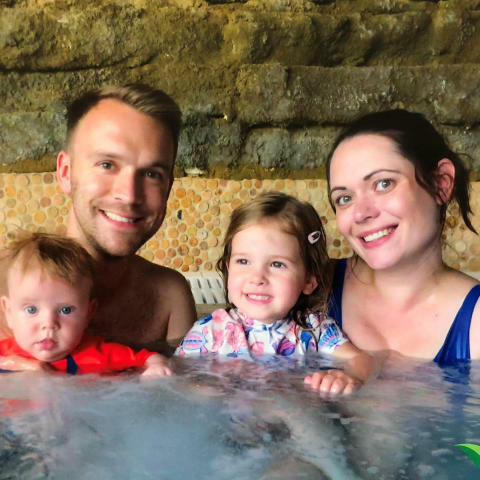 Leanne Richards, from Braintree, along with her husband, Richard, were shocked when they were told their unborn baby’s heart was on the wrong side of his body at a 20 week scan. Sent to London for further tests, cardiologists reassured the couple that their baby’s heart was fine and Leanne needed no further monitoring. However, when baby Joshua was delivered at Broomfield Hospital, it became clear there was a problem almost immediately – his oxygen levels were dangerously low and he was struggling to breathe. A scan of Joshua’s chest revealed there was a large mass on his chest that was pushing his heart into his lungs, causing the severe breathing difficulties. The worst news came when a further X-ray confirmed Joshua had congenital diaphragmatic hernia (CDH). This meant his diaphragm had failed to form correctly and had therefore allowed his intestines to move up into his chest cavity, which was putting intense pressure on both his heart and lungs. 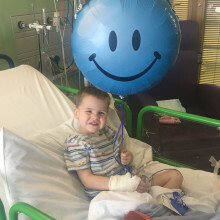 “When the doctors discovered what was wrong with Joshua they acted fast and were immediately on the phone to The Royal London Children’s Hospital. We felt like our lives shattered into a million pieces when we found out that our baby had just a 50% chance of surviving the major operation he needed to save his life. Doctors advised us that even if he survived the operation, it was likely that Joshua would suffer from health complications such as congenital heart disease (CHD) and problems with his lungs and breathing, as a result of them being squashed in his chest. 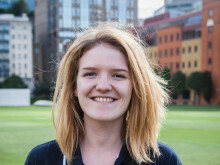 “My husband went home to pack our bags and be with our daughter, Isabella, who was only two at the time and needed one of us in the house whilst my parents drove me straight to London as soon as I was discharged. I was in shock and just needed to be with Joshua. I assumed we would be staying in a hotel, as we were an hour and a half from home, but at this point booking and paying for a hotel was the last thing on my mind. When I arrived on the ward where my baby was being treated, and had seen with my own eyes that he was stable, I spoke to a nurse who told me about The Sick Children’s Trust’s ‘Home from Home’ Stevenson House, located just minutes from Joshua’s hospital bedside. “When the direct phone line between our room in Stevenson House and Joshua’s ward rang in the middle of the night we immediately knew something was wrong. Within minutes we were there by Joshua’s side. It was awful to see our baby back in an incubator and intubated, unable to breathe on his own. We couldn’t believe he had collapsed. After that trauma, thankfully, Joshua slowly began to get better, but it wasn’t straightforward and he had to overcome several challenges along the way. “Stevenson House was amazing throughout this time. The main thing for us was that Isabella could also be in London. She began to call it her other home, loved all the toys and made friends with the siblings of other children receiving treatment in the hospital. The ‘Home from Home’ was so close to the ward so one of us could be with Joshua or Isabella at all times. “When Joshua took a turn for the worst we were all so scared for him. We had got to know Leanne, Richard and Isabella so well over the weeks and were very invested in his progress. It was a very happy day for everyone when Joshua was discharged home and the photos Leanne has sent us in since show just how well he is doing.